Is to aid people in bringing order to their home, life, office and future. JB Organizing does this by: Speaking on topics related to organization, parenting, motivation, and small business development; Organizing a given space or producing an Organization Plan; Providing Time Management Training and Small Business Development Assistance; and Creating a Resume that positively reflects the image and experience of the given individual. Jennifer Barnes is the mother of 5 children ages 14 to 19. She is also the mother of twins. She has been married for 22 years to a High School Math Teacher and Coach. 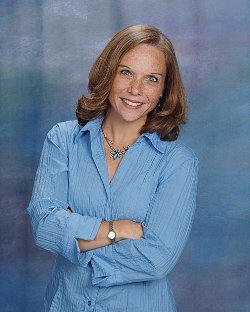 Jennifer began her career as a Professional Organizer and Speaker 19 years ago with the creation of JB Organizing. Since that time she has coordinated and organized numerous events and programs, at home, school and church. In addition, she has advised various individuals on successful home and life organization tactics. Jennifer has spoken throughout the Midwest; at numerous community, school, business, church and private groups. Jennifer has a degree in Speech Communication from the University of Illinois and post-baccalaureate work from Loyola University, however, she says the most important education she has ever received, continues to come from the renowned University of Motherhood.